Two Sisters From The Right: We aren’t deporting them: Washington won’t, Texas can’t. 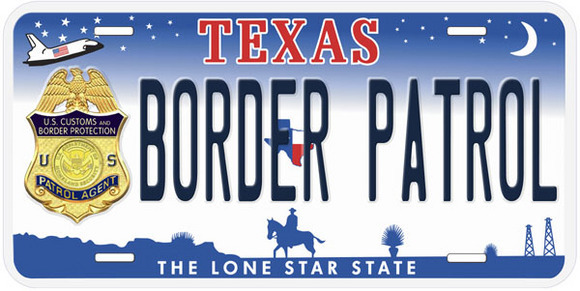 We aren’t deporting them: Washington won’t, Texas can’t. For the next few days Two Sisters From The Right will be posting some of the best (and shorter) reads on the web. Each will be posted individually so as not to confuse the various topics. We found this one particularly interesting because National Review Online columnist Kevin D. Williamson takes the time to answer some of his critics. It's an informational and fun read. National Review has surrendered to the radical left and is slowly adopting the Obama Regime Administrative Amnesty. It all centers around the ratchet effect, abject surrender, and much ignorance on immigration law. NRO’s resident illegal alien Kevin Williamson, while officially claiming to be “agnostic” on the in-state tuition for illegal aliens, Rick Perry’s DREAM Act assistance to illegal aliens, in fact is a big supporter of illegal aliens, and always looking for a reason not to enforce immigration laws or build fences. Perhaps that would keep out too many illegals, like himself. If you think Rick Perry represents the “radical left,” you are politically illiterate. There isn’t much more to say about that. And I am, in truth, agnostic about the tuition question: If Texas runs a cost-benefit analysis and comes up with one answer, and Arizona does the same and comes up with another, both are acceptable to me. The question of how we deal with our undefended border and what we do about the millions of illegals already here is not going to be decided by how the University of Texas calculates tuition for less than 1 percent of its students. Am I opposed to building a fence? Here’s what I wrote about Perry’s opposition to a fence: “Governor Perry is wrong about building a border fence — the logistical challenges are significant, but they are not insurmountable.” I also suggested that we “establish a border zone with an inland barrier, with the understanding that there’s going to be some zig-zagging involved.” That should not be too difficult for a competent reader of the English language to decode, provided he is not a complete buffoon. I would like to see a proper border fence built, and I would very much like to see expedited deportations, starting with those illegals already in custody for criminal offenses. 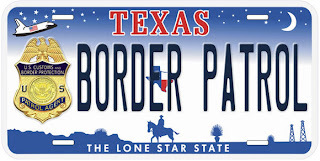 Texas and other border states are faced with making difficult decisions about how best to handle their large illegal populations precisely because Washington fails and fails and fails to do its job, as Perry has pointedly reminded the federal authorities at every opportunity. A remark in the comments section was typical: “Illegal aliens who are known to be illegal should be immediately deported. Period.” Another read: “These people are here in violation of our laws. The rate of their tuition is not even an issue. They should be expelled.” All true enough. But Rick Perry is not the governor of Utopia; he’s the governor of a real place, with real-world problems. He hasn’t spent the last decade engaged in theoretical refinement and maximalist ideological posturing; he’s had to govern a big, complex state, the problems of which do not always fit into neat ideological categories. So while it’s fine to have your blog temper tantrum and scream “We ought to deport all of ’em!” — and I agree — the fact remains: We aren’t deporting them: Washington won’t, Texas can’t. That’s the reality. Now what? Governors and presidents have to answer that question; cranks with blogs (or cranks with think tanks or House seats) don’t. Of Course It's A Ponzi Scheme!